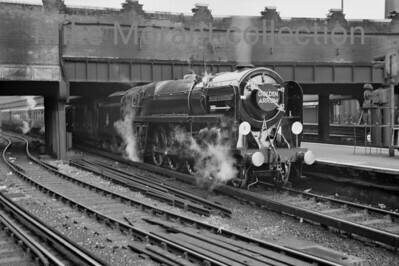 BR Standard 7MT No. 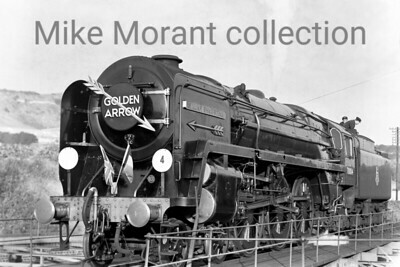 70004 William Shakespeare bedecked with the Golden Arrow regalia is being turned at Folkestone Junction. 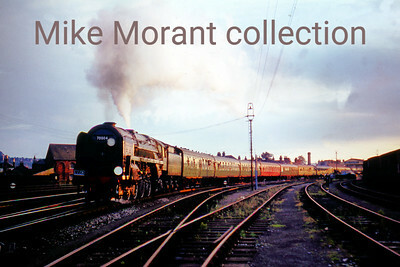 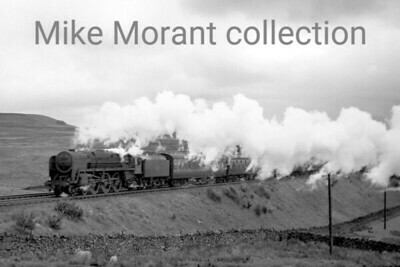 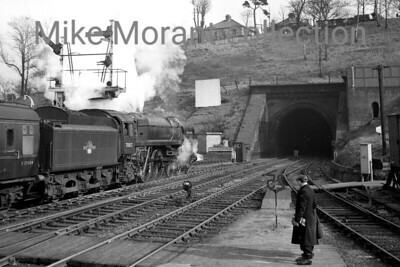 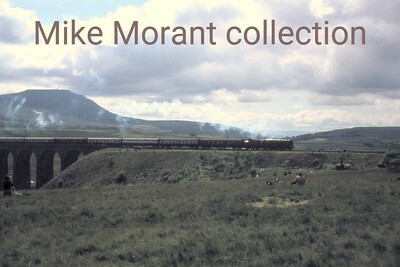 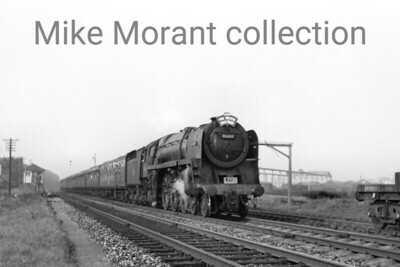 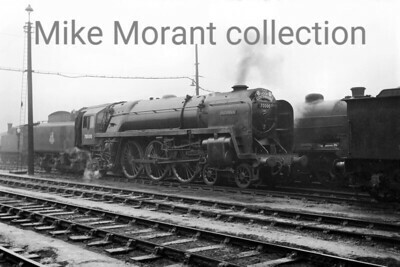 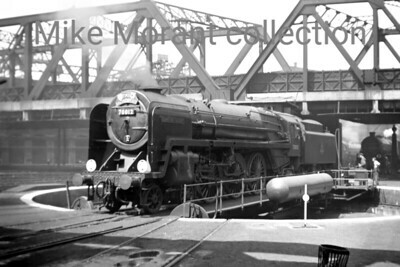 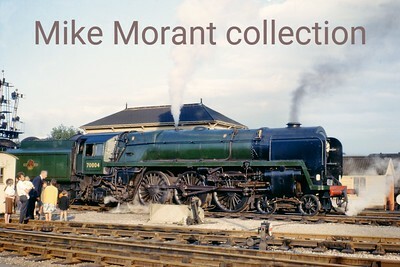 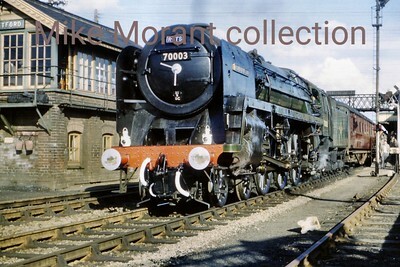 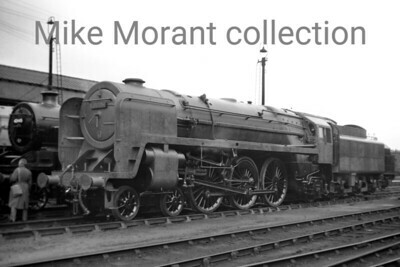 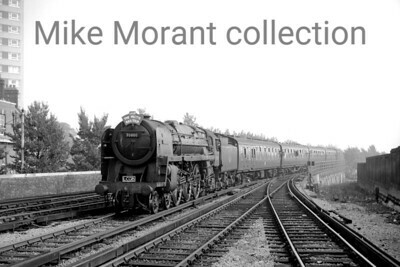 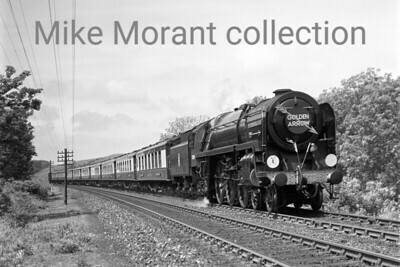 Derek Dean has added these notes ......... "70004 has lost its 'Exhibition Finish' but still looks immaculate, the raised sand box lids prominent on this view and give strong indication of date, which is 1954. 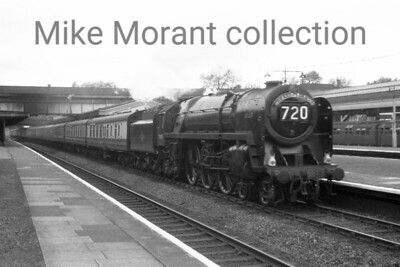 The power classification on the cabside is '7P6F' the only time seen on a 7MT".